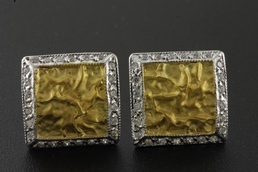 Deep 24K yellow gold and crisp 18K white gold is hand crafted into these amazing earrings. Framed by a halo of round cut diamonds, the centers are textured to give depth and character to these pieces. Crafted with passion and an attention to detail in Turkey. Simply stunning! 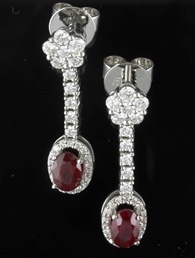 The rubies in these 18kt white gold earrings have a deep red hue that is pleasing to the eye and the diamonds in the dangle settings are the perfect accent. 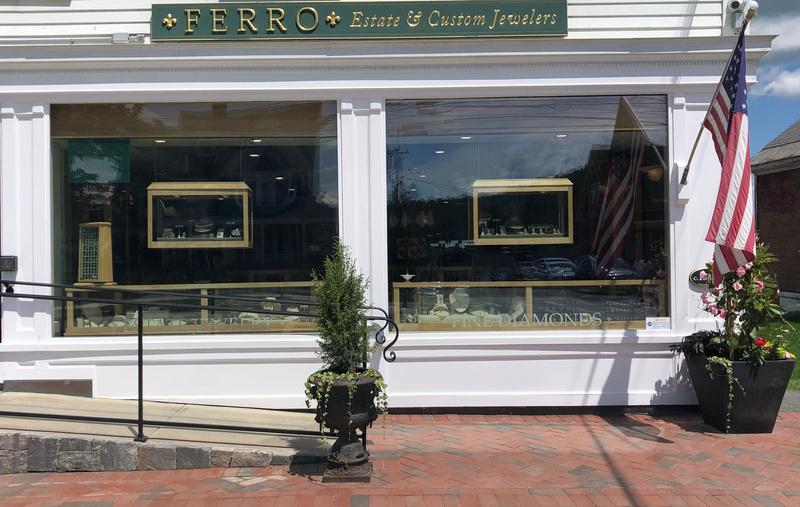 Special occasion around the corner? 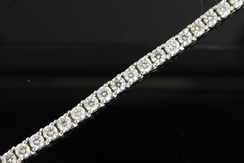 Show her how much you love her with this dazzling diamond tennis bracelet. With 4.04cttw of bright, crispy round brilliant diamonds, this 7" bracelet will catch everyone's attention! Set in 18K white gold. With seven round cut diamonds in each setting, you will not be lacking in sparkle! Set in 14K white gold, these clusters are available in 1/2, 3/4, and one carat per set sizes.